Special Guests at Anime Expo! 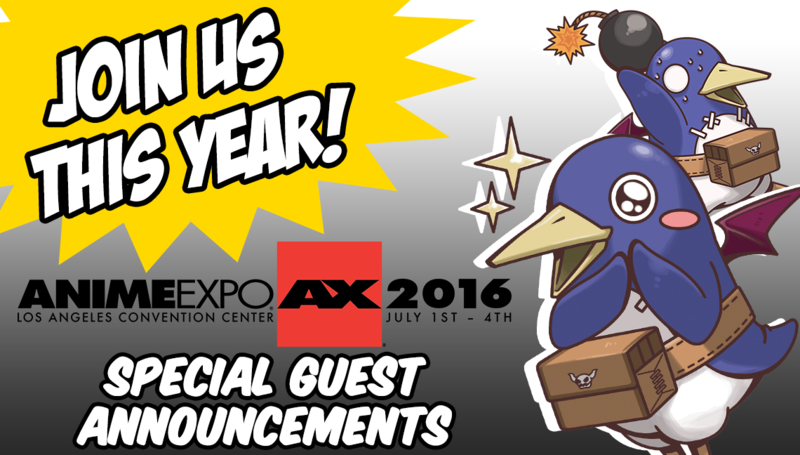 | NIS America, Inc.
Home / Blog / Special Guests at Anime Expo! The Talents behind Touhou Project and Yomawari: Night Alone Come To Los Angeles! Anime Expo is around the corner and we hope you are just as stoked as we are! What is Anime Expo without special guests, panels, and signings!? Well, this year, we are excited that some of the awesome talent behind the Touhou Project and Yomawari: Night Alone will be joining us in Los Angeles to give you insight into some of our upcoming titles! ZUN is the founder and sole member of Team Shanghai Alice, and is the designer, programmer, script writer, and composer of the extremely popular Touhou Project series. With more than 15 official entries, the series has become famous for its doujin culture; ZUN allows creative license to the characters and world, which has allowed fans to expand Touhou’s reach into numerous genres beyond its start as a bullet hell game. Yuro is the director of the highly anticipated shoot ‘em up fighter game Touhou Genso Rondo: Bullet Ballet, and a member of CUBETYPE, the studio behind the title! In this bullet-hell action game, players take on the role of a Touhou girl and face off in one-on-one battles against other characters in a colorful display of deadly bullets and melee attacks. This will be the first time Yuro visits America, and he is very excited to share his thoughts on the Touhou Project, as well as his visions of Touhou titles he anticipates to create in the future! JYUNYA is the director of Touhou Genso Wanderer and the representative for the development team on this highly anticipated title. This Roguelike RPG features tons of content and highly evolved controls that put you directly in charge of the action! Furthermore, for fans of the Touhou Project, the story sequences feature numerous Touhou characters, which all combine to make this a Touhou game that cannot be missed! Since this will be JYUNYA’s first time in America, be sure to visit this exclusive Touhou panel, so you will not only get to know JYUNYA, but also find out what his thoughts and future plans are for new games! Yu Mizokami is the director and lead designer of the isometric survival horror game, Yomawari: Night Alone. She joined Nippon Ichi Software in April of 2013 and was engaged in the development of the company's flagship title, Disgaea 5, and then worked on htoL#NiQ: The Firefly Diary. In 2014, she started her own project, Yomawari: Night Alone, and her game has won wide recognition in Japan. It received first place on the list of Dengeki PlayStation Awards in 2015 for having the best indie-style gameplay that fans loved. We hope you look forward to meeting our special guests! We’ll also be involved in some gatherings throughout the event. Check out our blog on Friday for more details, or visit our Anime Expo news page for the latest updates and schedule! We look forward to meeting all of you, dood!